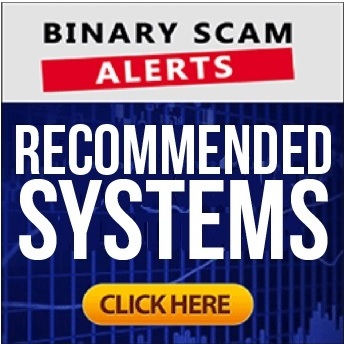 Binary Scam Alerts is posting a severe SCAM notification in regards to the Money Glitch software, auto-trader, and app, as well as Selena Fairbrother and David Matthews the fake actors and cheaters. Our staff recently received an alarmingly high number of deceptive and misleading SPAM Emails delivered directly into their inboxes offering fast riches and easy money with no risk. The amount of complaints and belly aching was so startling that innocent day traders just couldn’t handle it. So we rose to the challenge and began to review and investigate this scheme. We were easily able to find a solid base of evidence and factual findings which prove conclusively and without a shadow of a doubt the this system is a confirmed binary options investment SCAM and fraud. The Money Glitch is basically built around the same graphical elements and technology as you would see in two previous scams called the Zulander Hack and the Mocking Bird Method. These are two extremely deceptive videos which revolve around the same concept of easy money with no special qualifications or experience necessary. Its plain to see the same scam tactics are implemented across all 3 schemes. The live results, the GEO targeting widget, and the same streaming display telling you how many viewers are online at any given time. Well, at this point it should be enough to reach the proper conclusions about this app, but we had to make sure we had all our bases covered just to make sure we are not sabotaging a legit autotrader. 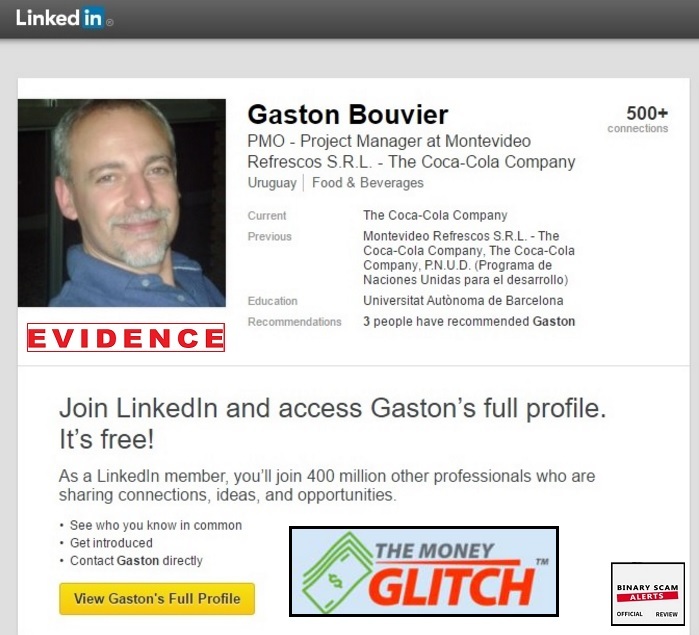 So we took a look at Greg Clarke’s photo, and we found out the image was stolen from a LinkedIn account of a person called Gaston Bouvier who works as a Project Manager for the Coca Cola Company in Barcelona and actually seems like a pretty cool guy. I believe going through the rest of the images will illustrate a similar pattern of deceit and falsification of facts by utilizing fake testimonials. Apparently this person Selena Fairbrother or whoever that is, has the audacity to say that you can make $569,231 a month with an investment of $5. Then she actually goes on to say that this thing has been performing for her consistently every day for the past 78 weeks, and it has “absolutely nothing to do with trading binary options”. At some point she brings in this David Matthews who is nothing more than an image bank actor and claims that he is the founder of the software and invested over 1.1 Million Dollars of his own money for development purposes, and now he is looking for 20 beta testers in 9 countries to test the set-and-forget software for free. In reality this is nothing more than a cheap ploy designed to illegally solicit money from day traders using false advertising tactics and a team of paid actors. For all intents and purposes all the candlesticks analysis, bolinger bands, market updates, and 60 second trading strategies will not help you achieve the desired 85% ITM ratio. You must realize you have been grossly misled and now it is time to seek alternative means of investing. Well, don’t put away your credit card just yet. You will need at least $250 in order to deposit funds into your trading account. These include but are not restricted to: Hedge Formula Group, Insured Profits with Dave and Ginny, Binary Interceptor, Trianasoft, Quantum Income Machine, The Free Money System with Walter Green, Millionaire Blueprint, Amissio Formula, TradeTracker Pro, Lie Detector Millionaire, the Push Money App with Dennis Moreland, Profits Infinity, and Cloud Trader. We have new systems coming out every day, and as you may suspect most of them are the equivalent of cow dung. However we do set strict standards and as a result believe the Binary Profit Method to be the recommended signals tool. If you are looking for auto-traders please check out our recommended software section. 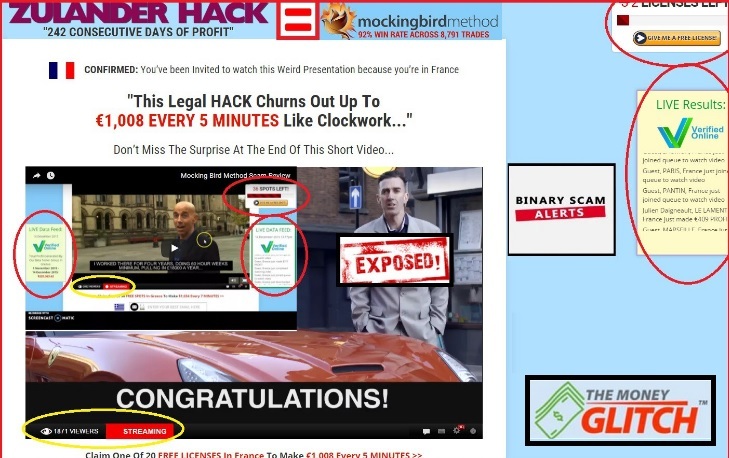 The Money Glitch software, auto-trader, and app, as well as Selena Fairbrother and David Matthews the creator of this system is a vile binary options investment SCAM. There is not one thing about this system which is genuine, legit, sincere, or honest and it clearly failed our credibility test. If after reading this review you still have any kind of doubt, or are considering investing don’t saw we didn’t warn you. As always, feel free to like our Facebook group and subscribe to our YouTube Channel to get more information.